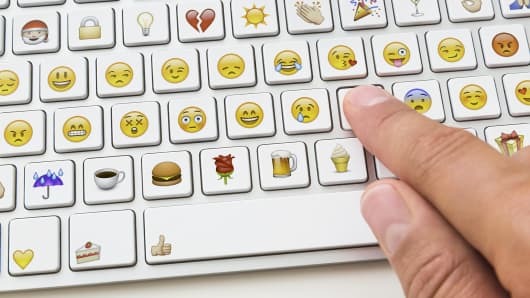 Check out the two videos incorporated in a CNBC article on Emoji’s and their effects on the human population and specifically language. I thought this was interesting as we spoke about social cues in class and that without face-to-face communication interacting with partners and friends can become extremely complicated and can lead to more arguments. Some people bring up the issue of the ‘dry texter’ or the person that only speaks in ’emoji’ language. Now there is this idea that emoji’s can replace written language maybe just send us back to hieroglyphics. Maybe people will be able to hold an entire conversation without both. Businesses and film companies are proposing that they will use this to their advantage by producing emoji’s of characters from their new movies for promotional aspects and produce advance moving emoji’s which can be seen on Facebook chat. Who needs face-to-face communication or even written text anymore when you can just ‘Emoji’ all the time. 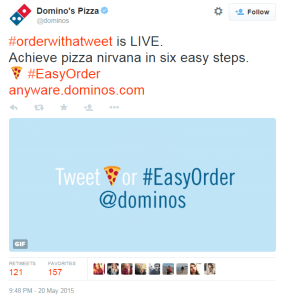 I think the best part of the article is the video of the CEO of Domino’s articulating that their is now a way to order delivery by tweeting a pizza emoji to their twitter handle and your pizza will be at your door step in 20 mins… genius!